If you’re looking for the best family attractions in Sydney so you can have a great day out with the kids, then we absolutely must recommend Taronga Zoo. We recently visited Taronga as part of our 2 day holiday exploring the best family activities in Sydney and wow did we have fun! Our Family Day Out at Taronga Zoo. The day started with excitement and suspense with an early morning start and drive down the highway to Sydney. As we approached the grand entrance, the kids couldn’t control their excitement, trying their hardest to guess what animals they might see inside. The kids spotted the sky-lift first up just outside the main gate, so we jumped aboard and did the round trip “WOW” the view was breathtaking and gave us a good idea of where we wanted to go first, with views over the harbour and over the zoo. The sky-lift is used for ferry access too and from the zoo. After taking in the view, we headed straight for the seal show which was amazing! The keepers are really great with these amazing animals. The seals showed off their amazing speed and acrobatic abilities whilst simulating their hunting techniques and teaching us about the man-made threats they encounter in the wild, with one of the biggest threats being ocean pollution. Next on the list was the mountain Gorillas, who were active, especially the babies, as feed time was approaching. The overwhelming size of the male demanded respect and the way they interacted with each other was humorous and cheeky. The keeper gave an informative talk about their natural habits and environmental dangers affecting them which shocked us when we heard that the biggest threat to these amazing animals is coltan mining, a substance that is used in all mobile phones! This information left us with a great message to recycle our old mobiles, something we all need to remember. A short stroll up the hill was the Giraffes exhibit where they enjoy one of the greatest views of the harbour ,the kids spotted the reptile section which was amazing then we headed down to grab some lunch at the food court which had a great variety of food and over looked the majestic elephants . After lunch we headed down to see the penguins and leopard seals , another amazing exhibit with under water viewing . There’s just way too many animals to list but it was an a day we won’t forget . Taronga Zoo is located in Mosman on the North Shore of Sydney. To add some fun to your day out, you can consider taking a ferry from the city which is a super exciting family experience, and a great way to see the harbour. Buses are also available, but will take longer, and if you prefer, there’s plenty of parking and finding your way there via car is pretty easy, using either your own GPS or maps on your phone which is what we did. The car park is an easy walk to the entrance, there is a parking fee, so remember to take your ticket with you so you can pay on your way out back to the car park. 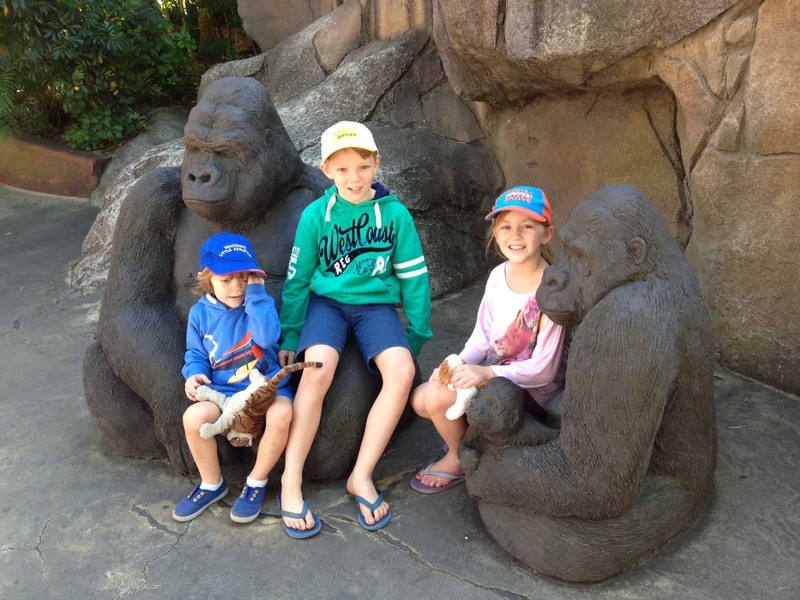 Tips for Visiting Taronga Zoo Sydney with Kids. Spending the day out at the zoo with kids is a HUGE day, and we mean HUGE!! There is so much to see, that you’ll be kept busy for an entire day. Here’s our tips for making sure you have a great day out. Pack plenty of bottled water, there are cafe’s there if you forget, but you’ll need to keep hydrated. Pack your own lunch and snacks if you’re on a budget. Again, there is food available, and there’s a good variety of choices for what to eat, but as any parent will know, eating out with kids can be expensive and packing your own will save money. For young children a stroller would be a good idea (The zoo offers them for hire if you need to borrow one). Download the free iphone app for a bit of extra fun. Buy your tickets online before you arrive to save time. Plan your day, but be flexible, The map provided is a great resource and the show times will all be provided, plan accordingly so not to miss the informative keeper talks. Allow yourselves plenty of time so you have time to stop, relax and enjoy. Do Something for the Benefit of the Planet. Remember, that by visiting the zoo, you’re doing great things to contribute toward research and breeding programs that support endangered animals worldwide. If you’re feeling generous and want to do something unique, think about adopting an animal. We adopted the Bilbies, and it was great to see them up close knowing our donation had helped even if just a little toward helping the zoo do great things for Bilbies. So if you’re looking for the best family fun in Sydney, consider heading to the zoo, you won’t be disappointed. 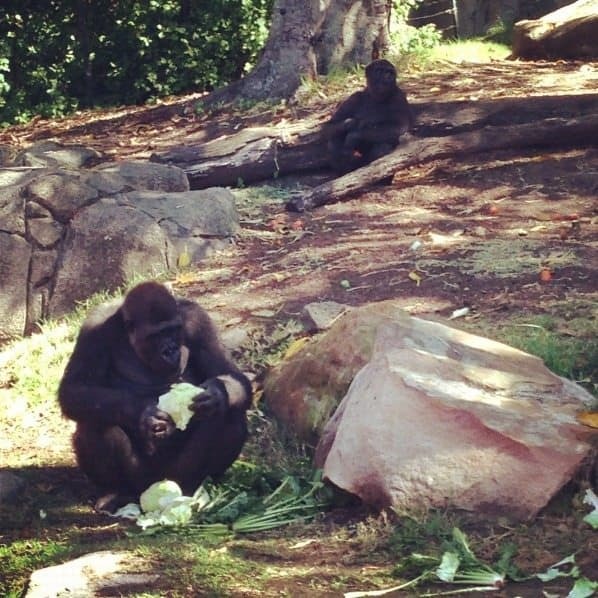 Have you been to Taronga Zoo Sydney? What was your favourite animal? Sydney is a place that we hold near to our hearts. I (Loreena) was born in Sydney, and before having our children we lived in Sydney for a while, at the gorgeous Maroubra Beach. 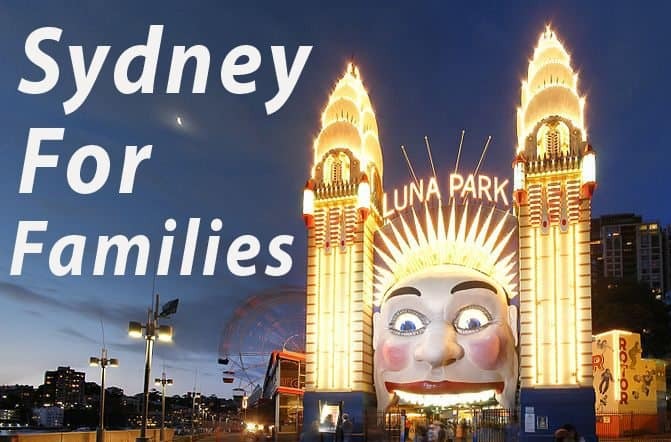 So it was with great excitement that we go to take part in experiencing some of the best family activities in Sydney recently and we get to share those experiences with you. These family activities offer a range of fun for kids and adults of all ages, and cover a wide range of interests, so here’s four amazing things to do on your next Sydney holiday. 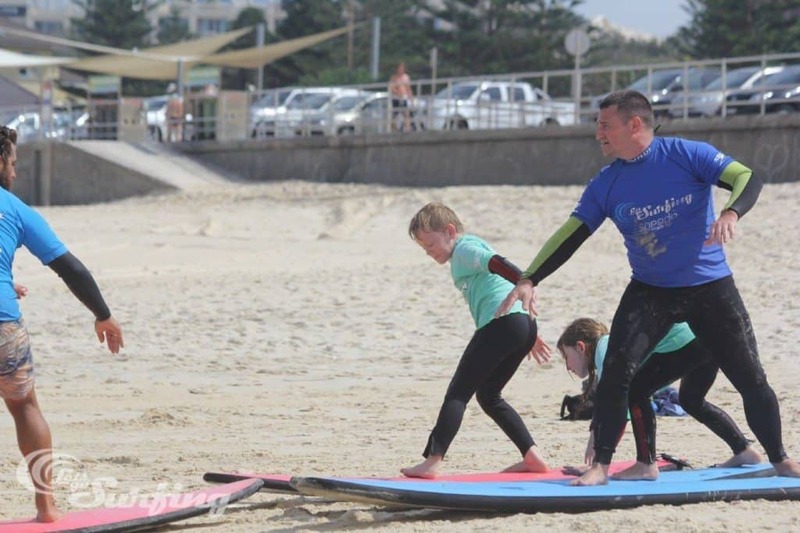 Surf Lessons on Bondi Beach with Let’s Go Surfing. 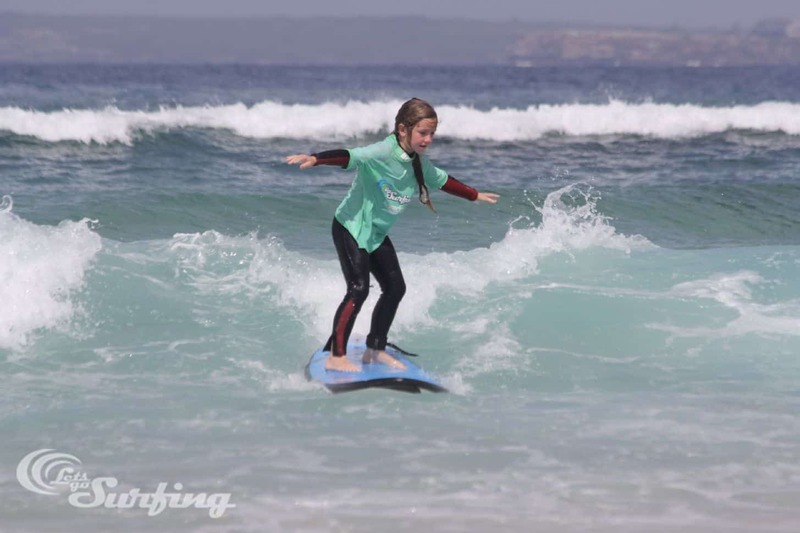 Not only is surfing as a family something fun to do, getting to experience the waves on the iconic Bondi Beach adds an entire dimension of excitement to this super cool experience. Let’s Go Surfing are the surfing experts in Bondi and they’ll have you standing up on a board in no time, feeling the exhilaration of mother nature. Another one of the iconic things to do in Sydney, a visit to Taronga Zoo is a must. Be sure to allow yourself a full day to explore everything the zoo has to offer. The cable car at the zoo entrance offers a stunning view of the city skyline, including the Harbour Bridge and Opera House. 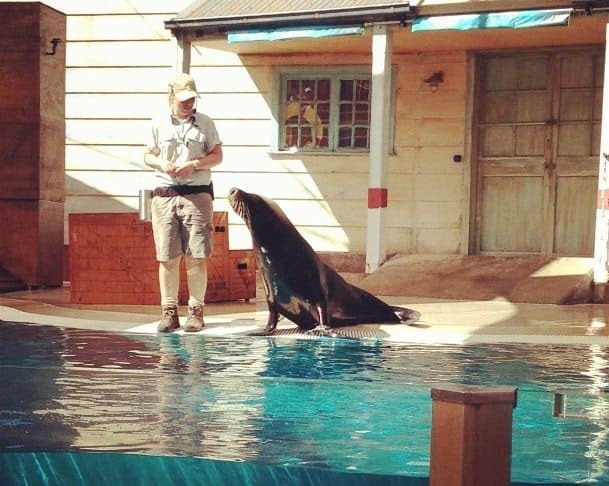 The range of animals on offer for viewing at the zoo is amazing so close to the city, with everything from native Australian wildlife to exotic animals such as Orangutans, which are one of my favourites. There’s lots to be learned about conservation while you’re there, and children of all ages will be talking about their visit for days to come as our youngest was. 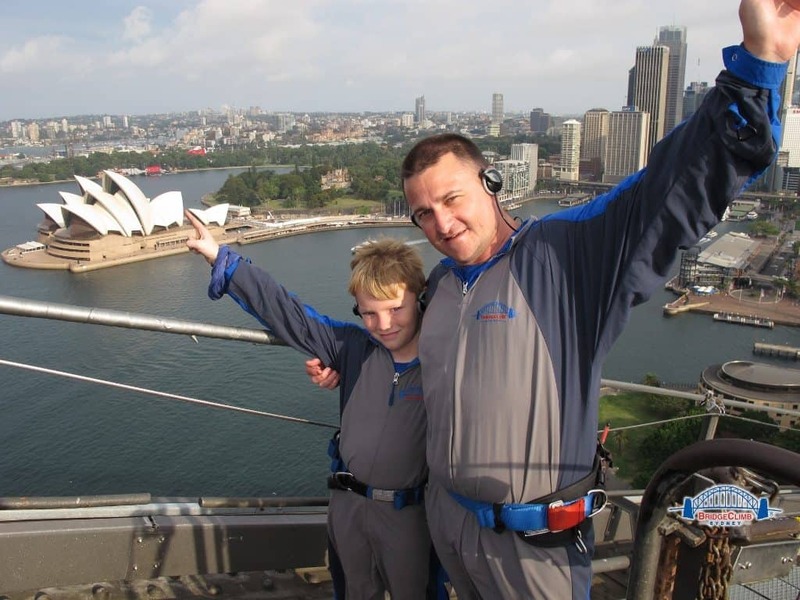 WOW, is the most common word that was used to explain the exhilaration of experiencing the Sydney Bridge Climb. With only Jackson being old enough to take part in this experience (children must be aged 10+), Matt and Jackson took the opportunity to have some father, son bonding time and it worked a treat. 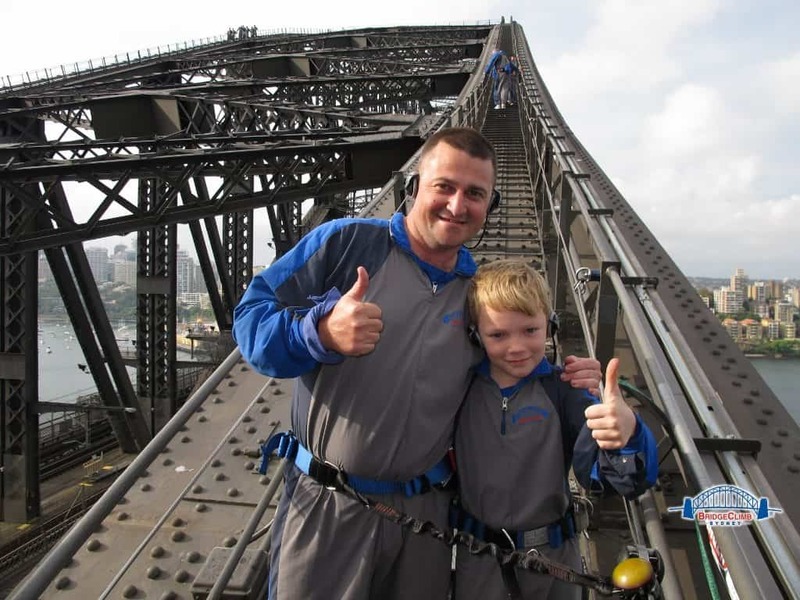 The smiles and excitement before and especially after they got to climb to the peak of the Harbour Bridge were so great I was left feeling a little envious! I’m glad we went in with them to see them off inside the building, as when we stepped in, we uncovered a museum that allowed all of us to discover the history of the bridge and some interactive experiences for the younger kids too. 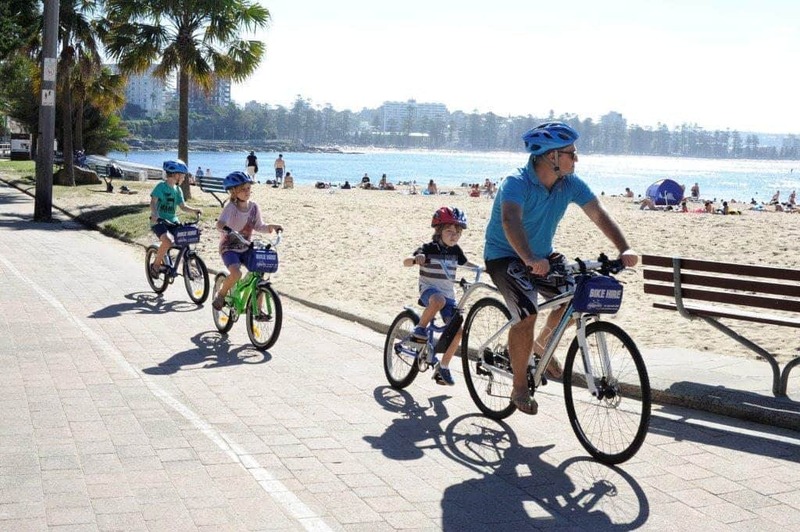 Destination NSW have come up with a really unique way to put yourself in the picture of some of the best family activities in Sydney. Simply head on over to Sydney 360 and upload a photo to see yourself doing some of the amazingly fun things Sydney has to offer. Take a look at Jackson Kayaking on the harbour below, and then create your own for a bit of fun! Jackson Kayaking on Sydney Harbour with Sydney 360. 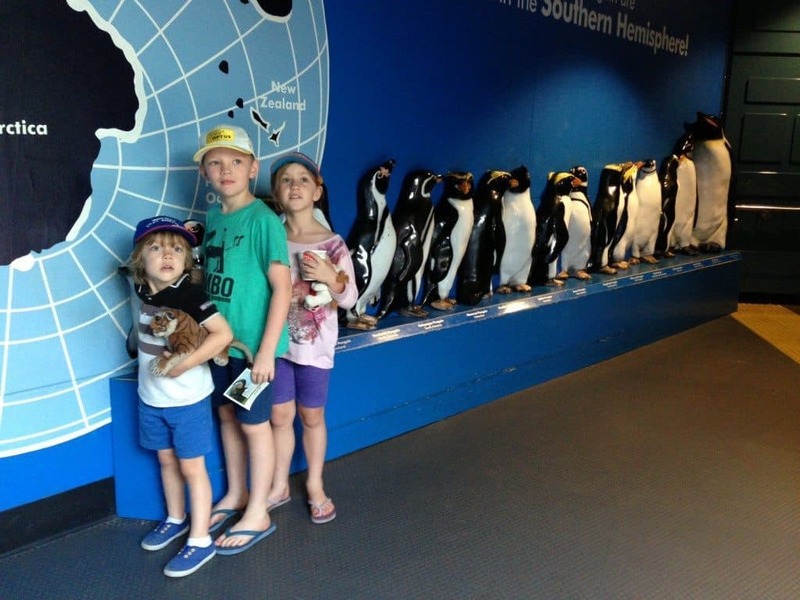 Check out the our family fun in Sydney at Taronga Zoo. Family holidays in NSW offer lots of variety between destinations, from tropics to the red outback. 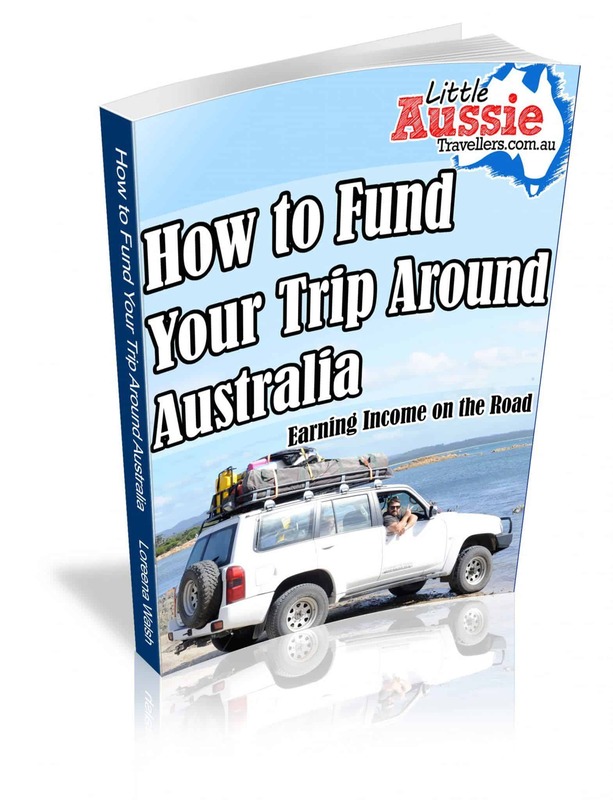 The state boasts plenty of things to do and see, and without a doubt the most fun goal any traveller can have is to make their way around Australia to uncover the large collection of big things to see. Traveling NSW and taking in the larger than life sights promises a memorable trip filled with fun and excitement for the entire family. So it’s time to take a look at Australia’s Big Things to see in NSW. While they may be spread out across all corners of NSW, stopping to view big things makes for a unique and memorable trip. Taking photos in front of huge replicas of everyday objects, animals and even foods makes for a highly entertaining and memorable addition to your family holiday. If you’re truly adventurous, you could do a massive road trip to take in all the Big Things you can possibly track down, but for most people on holiday, it’s a matter of stopping by a few of these humourous landmarks on the way to other destinations. Many of the large monuments are located near popular tourist destinations, providing for an interesting and off-beat excursion without much additional travel. Use your wacky group photo for your family’s holiday cards or simply keep a copy as a memento from your trip. 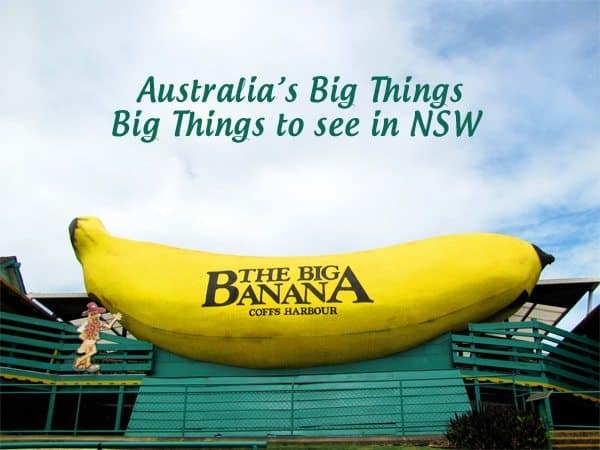 Below is a list of big things you and your family can visit in NSW, we may have missed some, but we’ll be updating our list when we can, and I can’t wait to get photos standing beside each of Australia’s Big Things! How many of these big things have you visited? Have we missed any? Sydney offers families an entire range of activities, eateries, attractions and accommodation styles that truly do offer something for everyone. The Capital City of NSW has won numerous awards for being one of the world’s most favoured cities, the most recent being voted in the Condé Nast readers choice as one of the world’s best cities, coming in at number 6. It’s not just international travellers who love Sydney, there’s plenty of reasons for families to love Sydney too, so let’s take a look at what you can get up to with the kids in this gorgeous world class city! 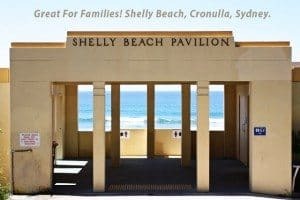 It wouldn’t be a Sydney travel guide without mentioning the best beaches for families to visit. Bondi Beach – While Bondi itself can be prone to rips, head to the west side for the Bondi pools. This is a perfect area for kids to splash around in safely and offer peace of mind to parents that the kids can swim in a safe, supervised area. Whale Beach – This beach also offers a rock pool that is really great for kids. Time your visit, because it generally only fills at high tide. There’s also a playground nearby to burn off some extra energy. Sydney Park – This gorgeous 110 acre area in St Peters offers a gorgeous duck pond, gorgeous parks, sculptures, a heritage area, a 360 degree view over the city, playgrounds, and best of all, a bike track for the kids complete with traffic signs. 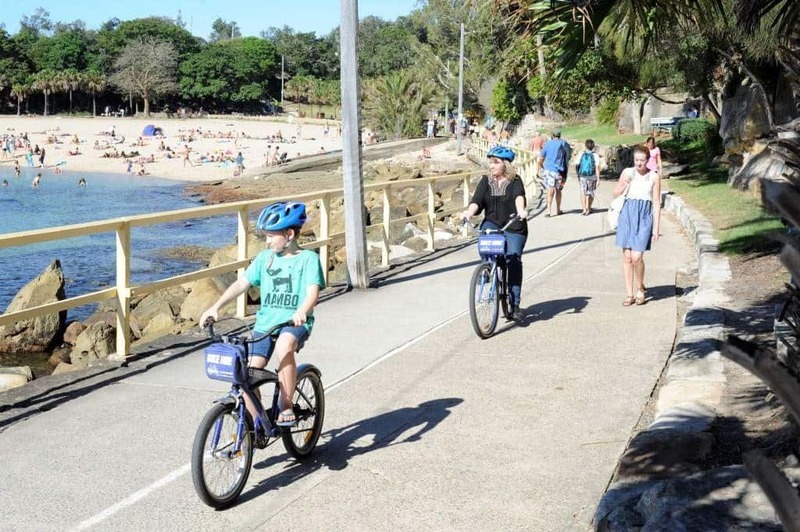 Iron Cove Bay Walking Area – If getting out and about in nature is something you’re keen to do then this area provides a flat walk that is easy for young children, prams and bikes. During the walk you’ll take in sights like beaches, mangroves, and the harbour. Ride the Manly Ferry – For 155 years the Manly ferry has been taking people on a journey across the waves. Don’t miss out on this iconic excursion, enjoy the ride and once you get to Manly, treat the kids to a few hours at Oceanworld. Royal Botanic Gardens – This gorgeous garden area is one that just shouldn’t be missed. When planning your visit to the Botanic Gardens, a little bit of research to see what’s on in the gardens is a good idea, there’s always events, tours and activities taking place. There are so many great attractions available to visitors in Sydney. We’re taking a quick look at some of the best for kids. Luna Park – A true icon, this amusement park was restored and still holds much of it’s 1930’s charm. With something for all ages, from rides to sideshow attractions an experience well worth it. 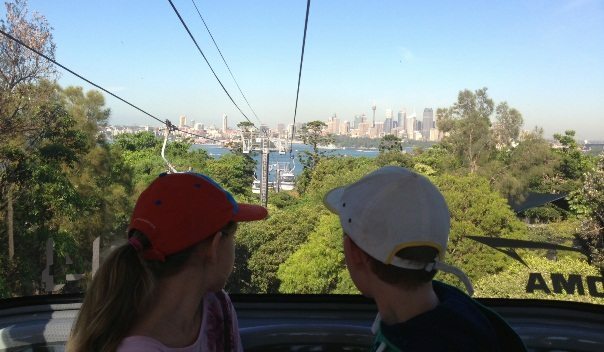 Taronga Zoo – The best way to get to the Zoo is by experiencing the Circular Quay Ferry. You’ll be amazed and greeted by a wide range of animals, and learn about the conservation initiatives undertaken by and suppported by the Zoo. 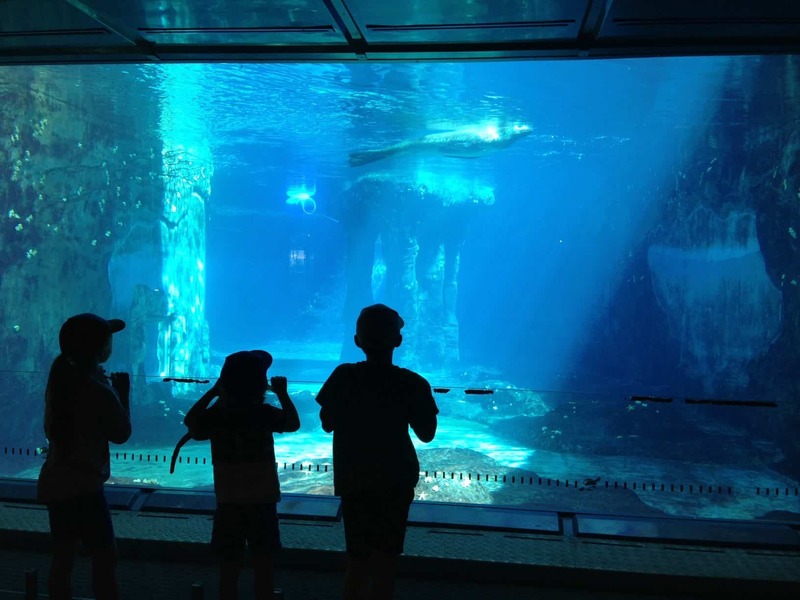 Darling Harbour Attractions – You won’t be disappointed with things to do in Darling Harbour with kids. There’s plenty of free play areas, but for a true experience, head to WILD LIFE Sydney, Sydney SEA LIFE Aquarium and Madam Tussaud’s. Check out their websites for all in one passes to save lots of money. As you can see, we’ve just touched the very tip of the amazing family activities that Sydney has to offer on your next family holiday. For Accommodation Sydneyalso has a great range of options, from caravan parks in the outer suburbs to a range of budget hotels through to family luxury hotels. You can easily take a day trip by train or plane, or within driving distance if you’re lucky enough. If you’re planning to stay, it definitely pays to plan a little in advance and be sure to stay somewhere nice and convenient to the main attractions you’re planning to visit. Much thanks to Accommodation.com for this great post about the Sydney Region. What are your favourite family friendly Sydney hot spots? 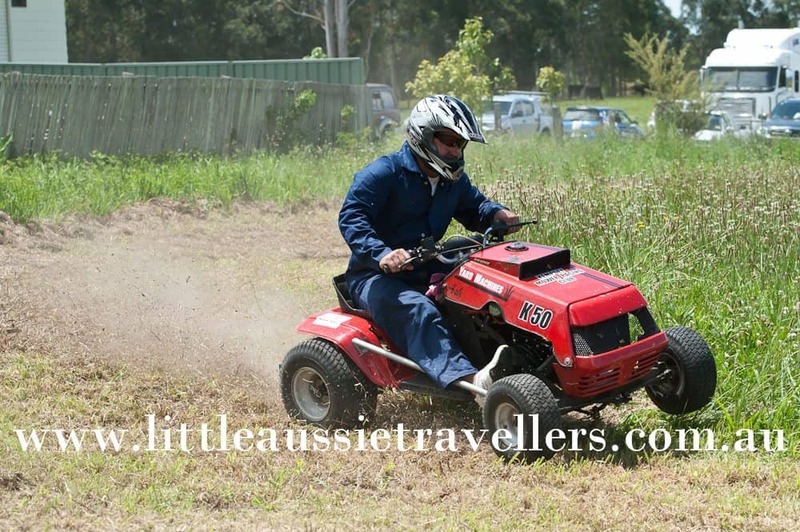 Aussie Lawn Mower Racing Fun! I love rural areas, because you can bet there’s always something a little unexpected on the cards when they put on an event. 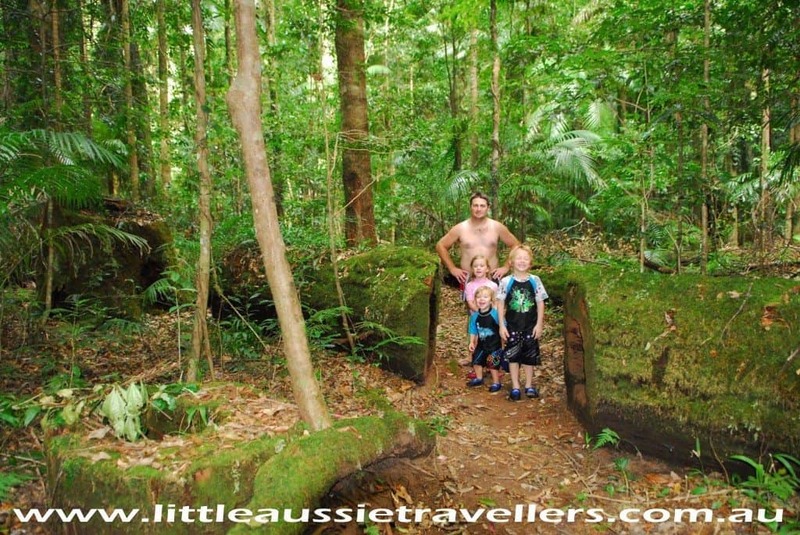 Port Macquarie Holidays – Things to do Other than Beaches. What if you discovered that travelling to Port Macquarie for holidays wasn’t just about beaches? Port Macquarie is a well known family holiday destination, mostly due to it’s amazing beaches and relaxed lifestyle and atmosphere. While this stunning coastal stretch is what brings tourists flocking to the region each year, there is so much more to the Hastings Region than many people ever discover, which is a shame in many ways. Think shimmering, emerald green rainforests, breathtaking waterfalls, bushwalks for all abilities, kayaking along stretches of river that seem almost untouched, sleepy villages with customer service that leaves you smiling for days, stepping back into the simplicity, away from the crazy, busy life we lead, and you’ll have uncovered just some of what this amazing region has to offer. Sure, don’t forget the beaches, a visit to the region wouldn’t be the same without them, but don’t base your entire holiday on them. If you do, you’re truly missing out on the spectacular! Best Shopping Around Port Macquarie Region? While in Port you’ll find the best of what the major chain stores has to offer, head 15 minutes west toward Wauchope and you’ll uncover a treasure trove of unique clothing boutiques, gorgeous homewares and cute cafe’s with great coffee. The best part is you won’t be fighting holiday makers for the privilege of discovering unique products and clothing with customer service second to none. When you’re finished in Wauchope, head down to Laurieton where you’ll find the same boutique shopping experience. On the third Sunday of each month, you’re in for a wonderful treat with Laurieton Riverwalk Markets offering an array of goods from hand crafted specialties to organic products and local meat and veg. Best Family Attractions Around Port Macquarie Region? There’s a stack of thing to do in Port Macquarie to keep the kids entertained, but by dragging them away from the lure of the ocean won’t be a problem once they start discovering all the other great things to do in the region. 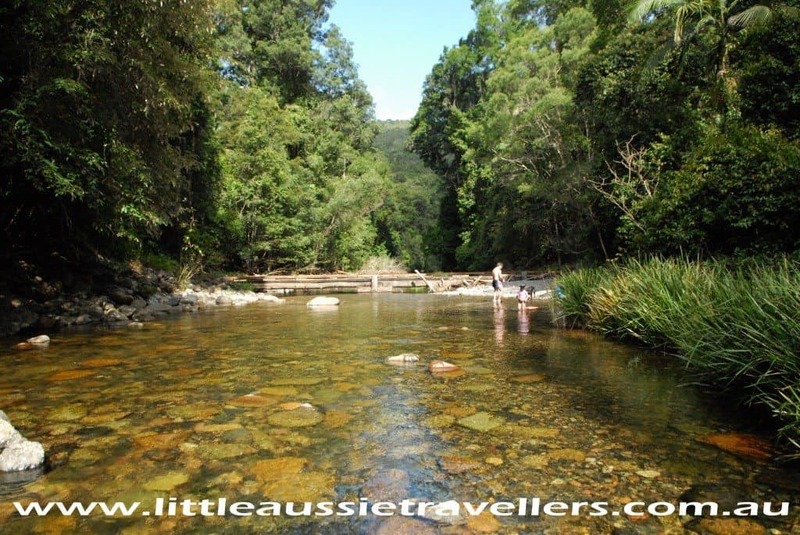 Wiseman’s Ferry Reserve, Wauchope – BBQ’s, swings and giant slide for the kids, have a swim in the river, go fishing or watch the boats drive by. Best Day Trips Around Port Macquarie Region? For spectacular day trips, head up into the hills. The mountain regions west or Port Macquarie offer a nature’s wonderland of camping, waterfalls, bush walks, rainforest walks and swimming holes. Ellenborough Nature Reserve – On the Oxley Highway – Offers free camping, access to the river for kayaking and lots of relaxing fun in nature. Kendall – This village offers unique cafe’s and a gorgeous road trip for the afternoon to discover the surrounding hills, taking in the farm lands and natural landscapes of the region. Comboyne – Discover local art, amazing coffee and breathtaking scenery when you visit this sleepy little town. It pays to think outside the square when visiting a region, and the Hastings Region is no different. There’s so much to be discovered, that you’ll wonder what all the fuss is over the beaches by the time you finish exploring all the tucked away goodness that surrounds Port Macquarie.